The Moto X4 is a pretty nice mid-range smartphone that normally costs $399.99, but it's currently sold by Motorola for $299.99. 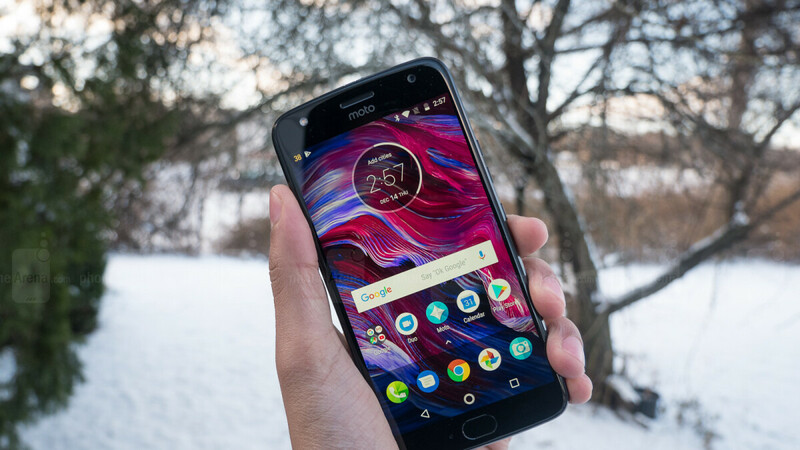 If you don't find the latter price attractive enough, we're glad to let you know that, for a limited period of time, the Moto X4 can be bought for just $199.99, although only if you're getting it from retailer Newegg. To pay $199.99 for the Moto X4, you need to use the following Newegg promo code at checkout: EMCPWSE22. 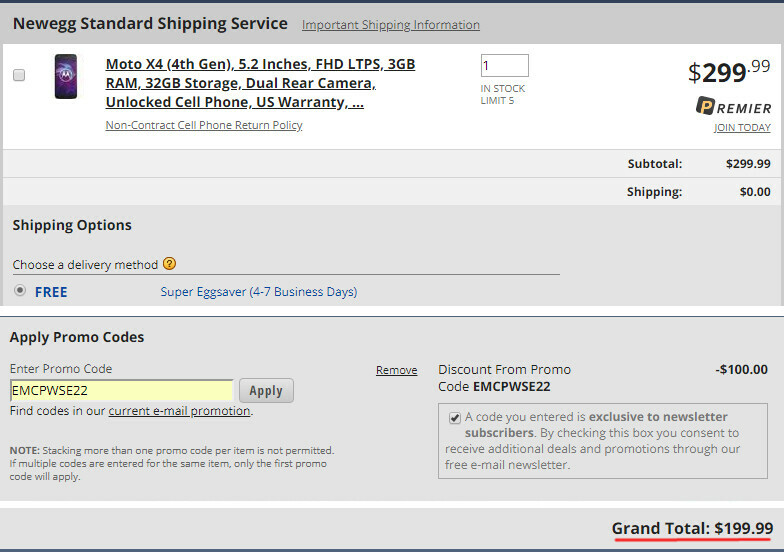 The is code is exclusive to the retailer's newsletter subscribers, so you'll have to share your email address with Newegg in order to use it. This deal is available for three days, so it'll be gone after August 2. Moreover, only the black Moto X4 is available for $199.99 - if you want the blue model, it will cost you an extra $50. Newegg's Motorola Moto X4 is brand new and unlocked, comes with US warranty, and is compatible with all relevant carriers, including Verizon, AT&T, T-Mobile, and Sprint. $199.99 is the smartphone's lowest price to date. Amazon's Prime variant of the Moto X4 was offered for just $200 at some point, but it now costs more: $279. The Moto X4 may not have a modern, bezel-less design, and it'll soon be 1 year old. Nevertheless, it remains a very capable phone and we'd say it's definitely worth $199.99. You can find out more about the handset by reading our Motorola Moto X4 review. Good phone. I've got one for whenever I want to tool around with Android and keep it as a backup phone.